The Met department also put out an alert for a storm surge of about 0.5 metre above astronomical tides which was likely to inundate low-lying areas in Vizianagaram and Srikakulam districts of Andhra Pradesh, and Gajapati, Ganjam, Khurda and Puri districts of Odisha at the time of landfall. 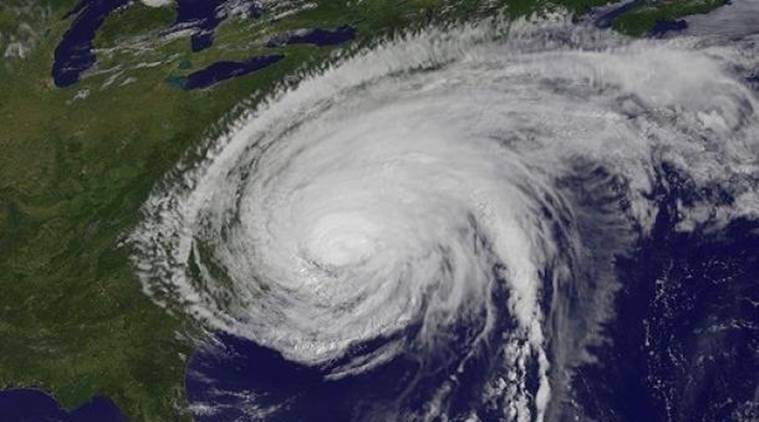 South Odisha and coastal areas of Andhra Pradesh have been put on alert after the India Meteorological Department (IMD) Thursday issued the warning of a cyclone that is likely to hit the east coast of India. The IMD said a low pressure formed over the west-central Bay of Bengal on September 19 had intensified into a deep depression on Thursday and was likely to transform into a cyclonic storm during the next 12 hours. The Met department also put out an alert for a storm surge of about 0.5 metre above astronomical tides which was likely to inundate low-lying areas in Vizianagaram and Srikakulam districts of Andhra Pradesh, and Gajapati, Ganjam, Khurda and Puri districts of Odisha at the time of landfall. A warning was also sent out to fishermen, advising them not to venture into northwest Bay of Bengal and off Odisha, West Bengal and north Andhra Pradesh coasts in the next 24 hours. “It is very likely to move west-northwestwards and cross south Odisha – north Andhra Pradesh coasts between Kalingapatnam and Puri (Odisha), close to Gopalpur, around mid-night of today, September 20, as a cyclonic storm with the wind speed of 60-70 kmph gusting to 80 kmph,” the IMD said. While heavy rainfall lashed several parts of Odisha since Wednesday, rain and thundershower is likely to occur in most places in the next 48 hours and it will ease thereafter, the IMD said. The depression caused heavy rainfall in Balasore, Bhadrak, Puri, Ganjam, Khordha, Jagatsinghpur, Cuttack, Kendrapara and Jajpur districts on Thursday, a Met official said. Under the depression’s impact, heavy to very heavy rainfall is likely to occur at some places in Rayagada, Kalahandi, Koraput and Nabarangpur districts till Friday, he said. The system is also likely to trigger heavy to very heavy rainfall in districts like Balangir, Bargarh, Jharsuguda, Sambalpur, Sundargarh, Keonjhar and Mayurbhanj on Friday, the Met dept said.